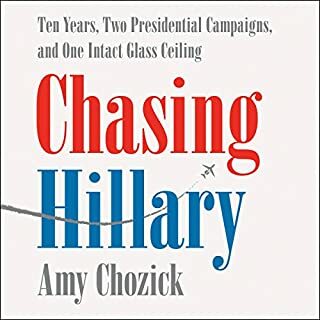 For nearly a decade, Amy Chozick chronicled Hillary Clinton's pursuit of the presidency. Chozick's front-row seat, initially at the Wall Street Journal covering Mrs. Clinton's imploding 2008 campaign, and then at the New York Times where she was assigned "The Hillary Beat", set off a years-long journey in which the formative years of her twenties and thirties became, both personally and professionally, intrinsically intertwined to Clinton's presidential ambitions. 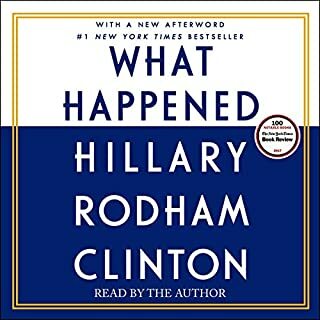 If you love listening to entitled feminist with Trump derangement syndrome, you'll love hearing this book. Personally I've had enough. Sad to see journalist become activist. 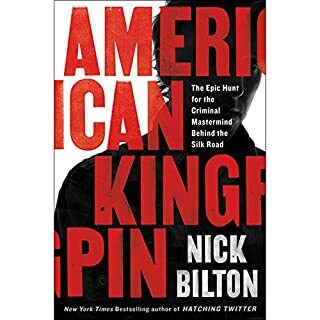 Story was 50/50 about her feelings, emotions, and history, rest about interesting parts of the campaign. Lifelong democrat and voted for Hillary. She wants to be the most powerful person in the world yet cries sexism, misogamy, racism when others fight for it and she doesn't get it. Just can't take chapter after chapter of complaints, excuses, and I don't buy her victimhood. Interesting story is frustrating because the author adds many unnecessary details. If you don't mind the fluff it's a good book.